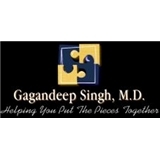 Gagandeep Singh, M.D. (Freehold) - Book Appointment Online! Please note that Dr. Singh, will have phone/email contact with any prospective clients prior to officially finalizing a new patient appointment. Thus, appointments made through ZocDoc are TENTATIVE until officially confirmed via email/phone/direct communication with the appropriate party.